In the bombshell book, "The Burglary," journalist Betty Medzger exposes the robbers behind the momentous theft from an FBI office outside Philadelphia over 40 years ago. The perpetrators have come forward in an interview with NBC News. Raines, his wife, Bonnie, and Keith Forsyth, a former Philadelphia cab driver, said they were part of an eight-member ring of anti-Vietnam War protesters that — while much of the country was gripped by the so-called “Fight of the Century” in New York between Muhammad Ali and Joe Frazier — broke into the FBI’s Media, Penn., office on March 8, 1971. Members of the burglary team, armed with little more than a crowbar and wearing suits and ties, then walked off undetected with suitcases stuffed with sensitive bureau files that revealed a domestic FBI spying operation known as COINTELPRO. The heist enraged the bureau’s legendary Director J. Edgar Hoover, who launched a massive but ultimately futile manhunt. The identities of the burglars are revealed in a book being published Tuesday, "The Burglary: The Discovery of J. Edgar Hoover’s Secret FBI," by Betty Medsger, a former Washington Post reporter. The book, as well as a new film, "1971," by documentarian Johanna Hamilton, portray the break-in as a story with new resonance in light of the recent revelations of National Security Agency surveillance of American citizens by ex-contractor Edward Snowden. Much like Snowden, the FBI burglars selectively leaked the stolen files to journalists. They produced months of headlines about FBI surveillance of anti-war and civil rights groups — including the first references to COINTELPRO, a secret program started years earlier by Hoover and aimed at smearing the reputations of perceived enemies such as Dr. Martin Luther King. This is a clip from the film "1971," which includes reenactments and interviews with the people who stole documents from an FBI building in Media, Pennsylvania in 1971. “These documents were explosive,” said Medsger, who was the first reporter to write about them after receiving a batch of the files anonymously in the mail. Her book traces how the stolen files led to a landmark Senate investigation of intelligence and law enforcement agency abuses by the late Idaho Sen. Frank Church, and eventually to new Justice Department guidelines that barred the bureau from conducting investigations based on First Amendment protected political activity. Advance word that the book and film might portray the burglars in a positive light has angered some former FBI agents, including Pat Kelly, who worked in the burgled office at the time. Along with a fellow agent, Kelly was the first to discover the break-in – a scene he still vividly remembers. 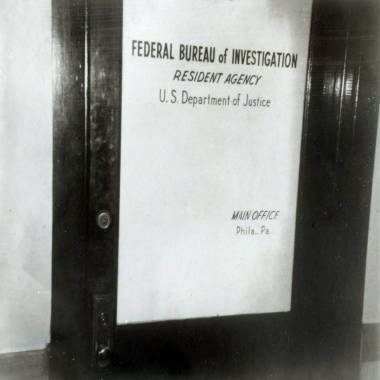 The FBI office in Philadelphia that was burglarized in 1971. With the five-year statute of limitations on burglary long since expired and the case officially closed, Raines, his wife and Forsyth said they have few fears about revealing their identities now. To the contrary, they spoke with pride about their roles during several interviews. The burglars were committed political activists during a turbulent era: John Raines was a civil rights “Freedom Rider” who marched in Selma, Ala., and got arrested in Little Rock sitting with African Americans at a segregated lunch counter. Later in the 1960s, they turned their protest efforts to stopping the Vietnam War. John and Bonnie Raines early in their marriage. Their frustrations led them to acts of civil disobedience, including breaking into Philadelphia area Selective Service offices and destroying draft cards. In pulling off those raids, they got assistance from a fellow protester, Forsyth, who said he developed a skill at picking the locks on the draft board office by taking a correspondence course. In the fall of 1970, an informal leader of their protest group , the late Bill Davidon, then a physics professor at Haverford College, proposed a more risky operation: breaking into a local FBI office in order to get proof of FBI surveillance of the peace movement. 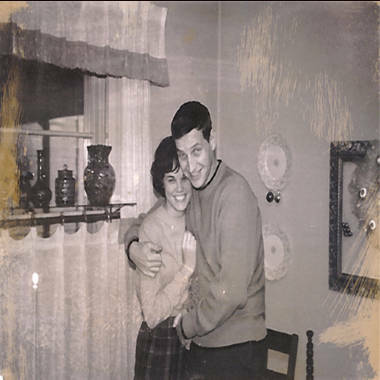 Bonnie Raines explains how she and her husband John prepared for the break-in of an FBI Building in 1971, including posing as a college student in the weeks leading up to the burglary. The team of burglars, calling themselves “the Citizens Commission to Investigate the FBI,” cased the Media office for hours in what John Raines described as a “hippie” van, monitoring when agents came and left. Then, Bonnie Raines was dispatched to get a closer look by posing as a college student seeking to interview the agent in charge for a school paper about job opportunities for women in the FBI. “I tried to disguise my appearance as much as I could,” said Bonnie Raines. “I had long, dark, hippie hair at that time and I stuffed it up inside of a winter hat.” She was careful to leave no fingerprints. “What (the agent) didn’t notice during the whole interview was that I never took my gloves off,” she said. After the break-in, the FBI developed a sketch of the college student, but agents were unable to come up with a real name. ”We quickly realized that this was just a ‘send-in’ to try to ascertain what kind of security devices there were,” said Kelly, the former FBI agent. 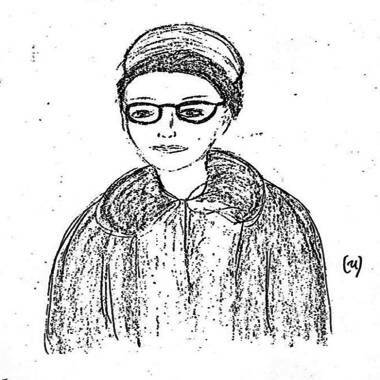 An FBI sketch of the female "college student," which was actually Bonnie Raines in disguise. The burglars chose the evening of March 8, because of the national fixation with the Ali-Frazier fight, figuring that any security guards on duty would be glued to their radios. John Raines drove the getaway car to a Quaker farm outside of town, where the team immediately began poring over the documents, getting excited as they found evidence of FBI surveillance. But even while sending out their anonymous mailings, they kept their secret, telling no one — not even their children — for years. But Raines said he now feels emboldened. And he also feels a special kinship with Snowden, the NSA leaker and current fugitive: “From one whistleblower to another, ‘Hi,’” he said, waving to a camera. And he’s got a message for the FBI agents who looked for him for years. What does COINTELPRO stand for? From 1956 to 1971, the agency used covert operations to infiltrate domestic political groups that it considered subversive, including the civil rights and anti-Vietnam war movements, the Black Panthers and various exile groups. Field operatives were instructed to disrupt the groups, create factions and destroy their public image. In 1976, the final report of the Church Committee, a Senate group that investigated domestic surveillance by the CIA, NSA and FBI, said “Legal restrictions were ignored,” and asked, “What happened to turn a law enforcement agency into a law violator?” The report said the FBI had told outside authorities it was monitoring communists and white hate groups, but “[couldn’t] support its claim” that it had informed anyone outside the agency about its surveillance of other groups. The report led to a series of reforms that set limits on the FBI’s authority. FBI Director J. Edgar Hoover launched the program to disrupt Communist activity in the name of national security, but then redirected it against black civil rights leaders. Later it was expanded to disrupt the Ku Klux Klan. Hoover pulled the plug on the program in 1972 after its existence was revealed by the Media, Pa., burglary. Are the Xbox and unleaded gas helping keep you safe from violent crime?